Following his banishment from the former ruling APRC party two years ago, famous Lower Saloum politician Pa Malick Ceesay is now with opposition National Reconciliation Party, NRP. He was speaking to the media for the first time in almost three years since his indictment, and revealed his intentions to stand again in the April polls if his people so desires. The former Parliamentarian was charged with sixteen counts of economic crimes and financial impropriety at the National Enterprise Development Initiative (NEDI) in the period 2009 to 2012 while he was the coordinator, charges he said was politically motivated. 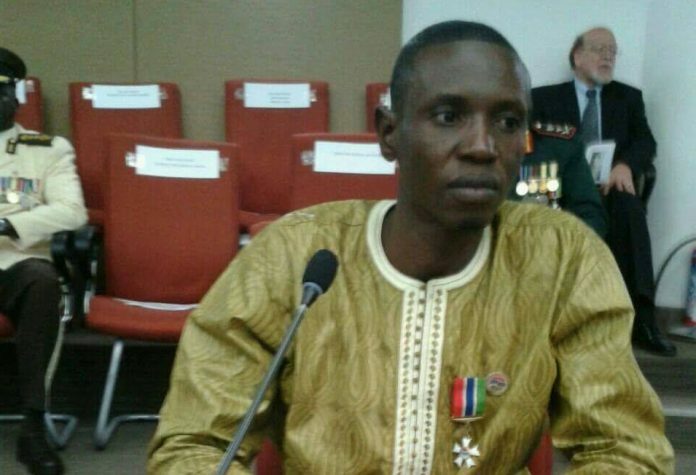 He now told The Standard he did not defect, but rather was forced to move on after the former APRC party leader, acting under the provisions of the APRC, expelled him from the Gambia’s largest party. And he said he cannot sit back waiting on the APRC to rescind their so-called decision for him to rejoin. 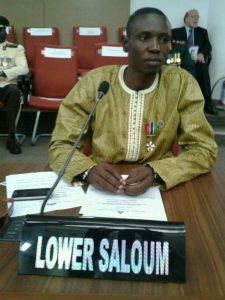 The former Lower Saloum parliamentarian said circumstances that led to his expelling from the APRC has something to do with charges levied against him some years ago. According to him, he was not entirely happy with how events or issues were unfolding at the time in parliament, and having sworn to protect the interest of his constituency and the Gambian people, ‘many people’ saw him as something else when he made his stance known. According to him, the former government went tooth and nail in attempts to indict him on some bogus charges. “They conducted all kinds of investigations in the institutions that I worked for to check how I was managing those institutions. When they came to NEDI, an audit was conducted. And all of a sudden before this NEDI appears before the PAC/PEC, I was expelled. Then they started accusing me of mismanagement, I have been accused of this, of that, and so on and so on. He also talked about his potential participation in the upcoming parliamentary elections, saying the choice is left with his new NRP party and the people of his constituency to decide, but added it is his desire to contest again in the April polls. “If they decide I should contest, then I have no choice but to respect their wishes,” Mr Ceesay said.